What a lovely landscape photo. This one is Stunning! It reminds me of our home-state of Texas with all their Bluebonnets and Indian Paintbrushes. 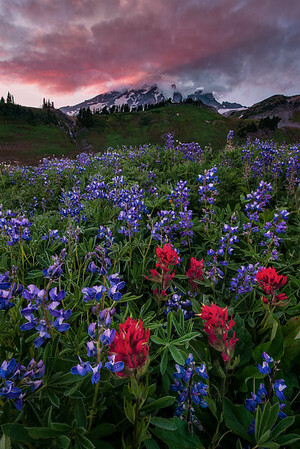 You're right, the Lupines are a perfect contrast with the Paintbrushes.